Resolutions for your home can also help the planet. Going green is a great way to conserve energy as well as cut back on your bills. You can make small steps in the stride to going green. For instance, try properly recycling, remember to turn off the lights and other appliances when not in use, and turn the water off when washing your face or teeth. You don’t have to go as far as investing in a hybrid car to make a difference. Poor indoor air quality can lead to many health hazards for you and your family. Problems caused by poor air quality are even more eminent during the winter when we prefer to keep our windows and doors shut. Maintain your HVAC system, use low-VOC painting solutions, and properly ventilate your home. 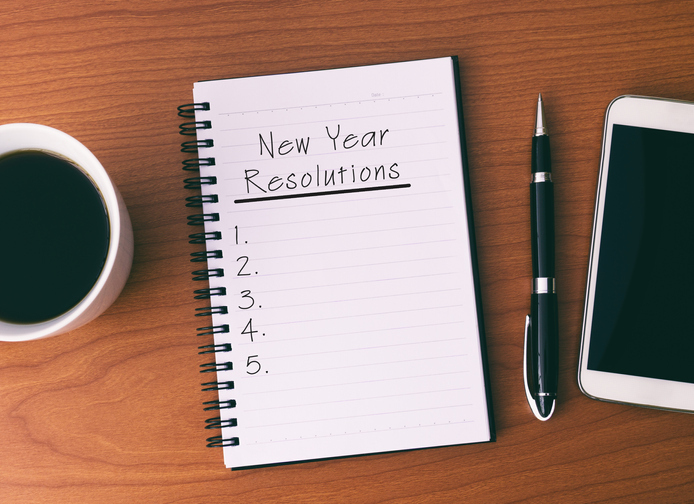 Getting rid of clutter is the perfect way to start fresh, just in time for the new year. While the act itself can seem a bit overwhelming, the final product will leave you with a clean, organized home. Try to create extra space while organizing, this way you’ll never find your home in clutter again. Creating a yearly budget can benefit you in the long run. You will avoid overspending and end up saving money for the future. Set some money aside for important things such as home improvement and maintenance. The big projects may seem out of your budget zone, but if you invest now, chances are you won’t have to spend another dime later. One of the main rooms used in your home is your kitchen, so why not give it some attention during the new year? Consider creating zones specifically for kids or pets to help make your kitchen multi-purpose, but also clutter-free. Try keeping your kitchen clean, organized, and healthy throughout the year. One of the biggest ways to help your home – keeping up with maintenance. If you regularly inspect your home you will avoid potential disasters. You could try some DIY projects to fix problems or help decorate, but for more serious issues, call a professional. If you’re looking for an expert in home care services, look no further than Landmark Exteriors. We can provide solutions to any of your homes problems. Check out our preventative maintenance plans to help avoid costly repairs and damage. Speak with one of our professionals at 203.838.3838.